The Battle of LaFayette, Georgia, is the forgotten battle of the Atlanta Campaign. It is one of the oddest battles of the Civil War, as well—a battle that pitted a force of Confederates against a force of Southern Unionists. It was a battle that had both forces on a collision course for different reasons, and it was a battle that shouldn’t have been fought. As the Army of Tennessee was pressed back to the heights of Kennesaw Mountain, commander Joe Johnston was continuously prodding Richmond to unleash a force of cavalry into Sherman’s rear to play havoc with the Federal lifeline, the Western and Atlantic Railroad. Johnston hoped for a force led by Bedford Forrest; instead, he got one of the Confederacy’s worst, Brig. Gen. Gideon Pillow. After repeated failures on the battlefield, the Confederacy finally found a job for Pillow that he was good at: rounding enlisting and training conscripts. However, Pillow still dreamed of battlefield glory and a chance to redeem his soiled reputation. 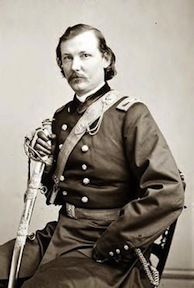 In June of 1864, after months of pleading, Pillow was given command of a small division of cavalry and sent to strike the Western and Atlantic Railroad. The division that Pillow led was a study in contrasts, consisting of Col. James Neely’s brigade made up of veteran Tennessee Troopers from Bedford Forrest’s command and Col. Charles Armistead’s brigade made up mostly green conscripts. The division was thrown together in early June due to the combined nagging of Pillow for a significant command and Johnston’s call. 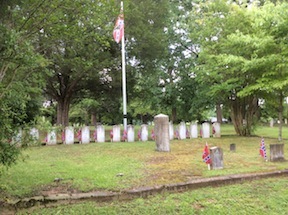 Pillow received the orders to strike at Sherman’s rear at his headquarters near Oxford, Alabama, and quickly set his raid in motion. Pillow crossed into Georgia on the evening of June 23 near the village of Alpine and made camp for the evening. There, Pillow learned of a force of Union cavalry that had just occupied the town of LaFayette, more than 15 miles to the north. Pillow quickly decided to postpone his strike at the railroad and made preparations to move on LaFayette during the night and attack the next morning. 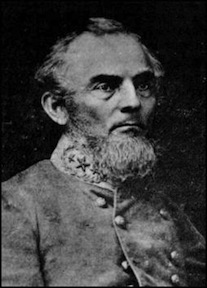 The Union Cavalry that was in LaFayette was the under-strength Kentucky brigade of Florida-born Col. Louis Watkins. Watkins’ command was in LaFayette hunting for the notorious guerilla John Gatewood. Gatewood’s band of thugs and deserters were terrorizing the civilians of the area and also being a nuisance to any Union patrols and railroad workers that they came across. 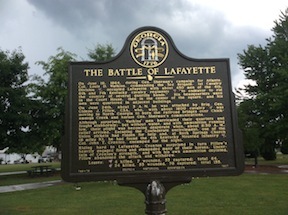 Watkins’ command arrived in LaFayette on the 23rd and found the little town nearly abandoned. The Kentuckians found lodging in a number of the town’s abandoned homes and buildings, notably the mansion of Spencer Marsh, the Globe Hotel, and the brick Chattooga Academy (which had once been the school of Confederate Gen. John B. Gordon), with the horses picketed in the streets. Watkins posted pickets around the town and was soon approached by several “old gentlemen of LaFayette who . . . were fond of games in which chips could be used.” As the men of his command bedded down for the night, Watkins and his staff, along several other officers, began what later was seen as a most fortunate night of gambling. 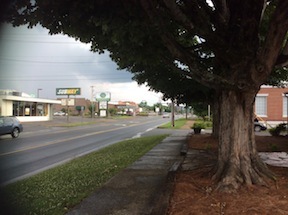 Pillow’s command moved up the Broomtown Valley, southwest of LaFayette, and upon reaching a crossroads near Trinity Baptist Church and Chattooga Methodist Church, Pillow decided to split his command. Armistead’s brigade would take his brigade to the North and move on LaFayette from the west, while Neely’s veterans would continue up the Broomtown Road and approach the town from the south. Pillow’s orders were for the attack to begin at dawn, and Pillow elected to continue on with Neely’s veterans, leaving the inexperienced Armistead and his even more inexperienced men to make their way on their own. Armistead’s column made it way up the narrow country road and arrived on the western outskirts of LaFayette at about 3:30 on the morning of June 24th. Armistead dismounted most of his men, keeping a small number of them mounted to act as a strike force. Armistead sent his skirmishers forward and sent orders for the rest of his force to prepare to advance at the double quick. At about 4 a.m., the stillness of the morning was broken by the fire of the skirmish line and quickly grew in ferocity. Armistead quickly committed most of his forces and began a rapid advance on the town. “The air now rang with the wild, enthusiastic cheering,” one soldier said. The alarm was sounded in LaFayette as the troopers of the 7th Kentucky leaped up from their slumber and tried to form up, but it was too late, and soon the 7th was being stampeded to the east and north toward the Marsh House and Chattooga Academy where many of them were captured after a brief but intense resistance. 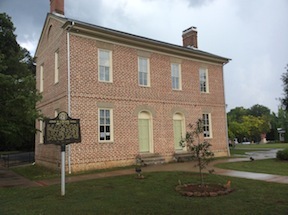 At the same time, Neely’s force began the attack from the south, and Watkins men fled toward the town square and the Courthouse. The Kentuckians began to barricade themselves in the buildings around the square, but the strongest point became the two-story brick and stucco Courthouse, where more than 100 troopers took position, barring the doors with sacks of corn. “The windows were filled with the same, forming loop holes for enemy’s guns, and thus became a strong fortress,” Pillow later reported. Pillow demanded an immediate surrender or he would burn the town. Watkins’s reply was simply: “Burn the town and be damned!” Pillow immediate ordered an attack against the square. For more than three hours the Confederates tried to take the position, working their way from building to building, but the courthouse and jail proved too strong. “The portion of the enemy . . . took refuge in the courthouse barricaded the doors and opened a destructive fire upon our men form the upper windows,” one Alabamian later wrote. “Some two or three unsuccessful charges were made by our men upon the courthouse resulting in the loss of many valuable officers and men.” The men fought their way to the doors and windows of the courthouse, but could go no further. Having no artillery and no way of breaking into the courthouse, the situation quickly fell into a state of siege. The fight might have lasted in a stalemate for the rest of the day if it wasn’t for the sudden arrival of the 4th Kentucky Mounted Infantry in Pillow’s rear. The 4th Kentucky Mounted Infantry, under the command of Col. John Croxton, had been encamped at Rock Spring that morning. While Croxton was on his way to join Sherman’s forces at the Kennesaw line, men of the 7th Kentucky arrived, telling of the sudden attack. Croxton immediately set his men in motion and, by mid morning, were in position to attack. Armed with Spencer repeaters, they quickly destroyed Pillow’s hopes for a victory and soon had the Confederate forces in full retreat. The Battle of LaFayette was over, as was Joe Johnston’s only hope for a raid from outside his army on Sherman’s lifeline. The battle was a disaster for Pillow: Watkins, with about 450 men, had held off the 1600 troopers of Pillow’s command. This entry was posted in Battles, Campaigns, Western Theater and tagged 4th Kentucky Mounted Infantry, Atlanta Campaign, Gideon Pillow, John Croxton, Kennesaw Line, LaFayette, Louis Watkins. Bookmark the permalink.